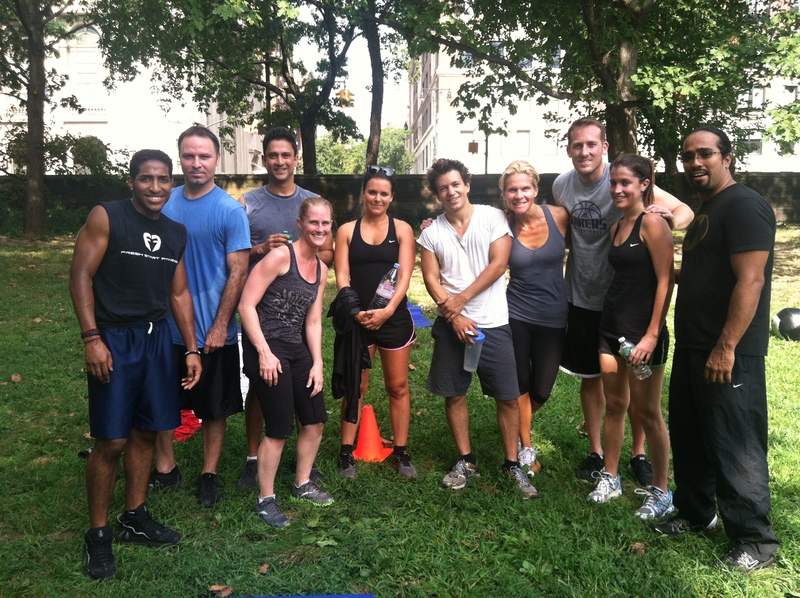 Posted on August 29, 2012, in Fitness, Health and tagged Burpees, Central Park, CrossFit UWS, Laura DeAngelis, New York City, Outdoor Workouts, Push Ups, Roberto Murichi, Sit Ups, Squats. Bookmark the permalink. 7 Comments. Next time I’m in the city maybe I’ll give it a go- but will need to up my training regimen to get ready for that workout. Sending good thoughts your way this Wednesday. Yes, I agree, this kind of workout isn’t for the faint of heart! In all seriousness, it’s important to have good core strength and stability to do these exercises – poor form on things like a push up can put too much stress on the lower back and lead to injury. (Not to mention the havoc you can wreak doing burpees incorrectly!) Stay tuned for more posts as I take more of these Saturday morning classes. Have a wonderful day! Sounds like a great time Laura! Next time I’m in your neighborhood I’ll have to give this a try with you. I look forward to the next edition! Thanks, Matt! I hope to take another Saturday morning class next weekend…so stay tuned! And yes, would be great to have you join us sometime! Happy Thursday! I’ll take you up on that sometime, count on it! Great to hear from you! I have to say I like the CrossFit workout as a break from the ordinary, but I like it as an addition to my other cardio/weight training. I’m also still not sold that these workouts are okay for the true fitness novice, but that’s just me. Hope all is well and that you have a great weekend ahead of you! Miss ya!